Need to fire up a new document, spreadsheet, or slide deck? 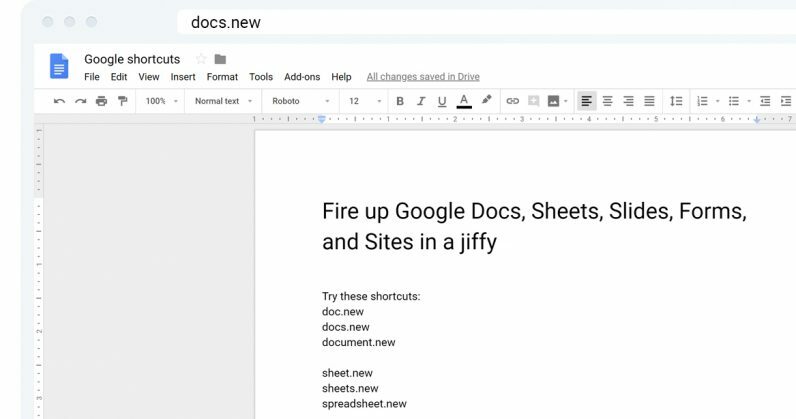 Google‘s suite of tools is great for those, and it’s now easier than ever to get started working on them. In any browser where you’re signed into your Google account, simply type docs.new in the address bar and hit Enter, and you’re off to the races. doc.new also works, as does document.new. As you’ve surmised, you can also go with sheet.new, sheets.new, or spreadsheet.new for spreadsheets. For presentations, use deck.new, or presentation.new.